The Sint-Michiels church has a long construction history. Already in the 11th century a chapel was built there by the Saint Bavo abbey. The construction of the present church was probably taken in the early-Gothic period. After many interruptions, the works were not finished until 1672; the tower remained unfinished. Even though the construction of the church took more than 200 years, it still exhibits a remarkable unity in form and style. The Sint-Michiels church therefore also counts as a typical example of the experience of Gothic in an era of renaissance and baroque. Her exceptional homogeneity makes her a serene church and a beacon of rest in Ghent city center. In the Sint-Michielskerk you can see a number of special works of art, including a sculpture by Rombaut Pauwels, and paintings by Otto van Veen, Jan Boeckhorst and Anthony Van Dyck. 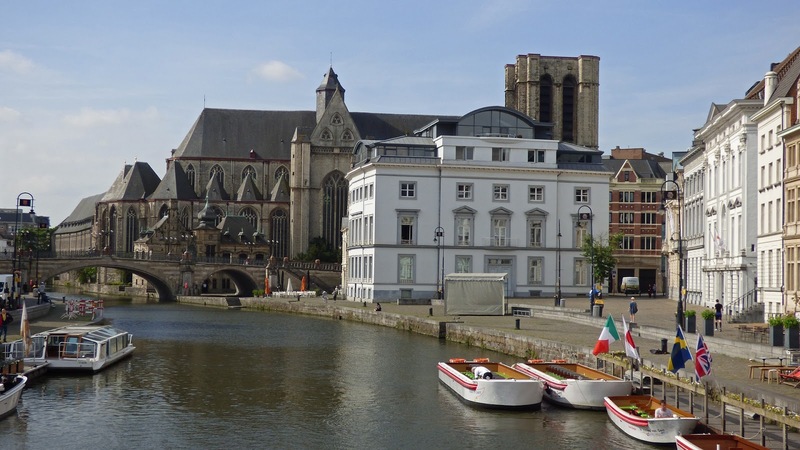 You can find the Sint-Michiels church at this address: Sint-Michielsplein 4, Ghent.